Ismail al-Azhari (Saiyid) was a Sudanese nationalist and political figure. He served as the first Prime Minister of Sudan between 1954 and 1956, and as President of Sudan from 1965 until he was overthrown by Gaafar Nimeiry in 1969. 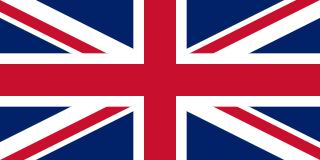 The Democratic Unionist Party, also referred to by itself as the Original Democratic Unionist Party, is a political party in Sudan, closely tied to the Khatmiyya Sufi order. The National Revolutionary Council was the body that ruled Sudan after the coup d'état in May 1969. It was disbanded in October 1971. ↑ Resigned after mass protests. ↑ Deposed in the 1969 coup d'état. ↑ Briefly interrupted during the 19–22 July 1971 coup d'état. ↑ Deposed in the 1985 coup d'état. ↑ Deposed in the 1989 coup d'état. ↑ Deposed in the 2019 coup d'état. These are lists of incumbents, including heads of states or of subnational entities. Jaafar Muhammad an-Nimeiry was the President of Sudan from 1969 to 1985. El Ferik Ibrahim Abboud was a Sudanese president, general, and political figure. A career soldier, Abboud served in World War II in Egypt and Iraq. In 1949, Abboud became the deputy Commander in Chief of the Sudanese military. Upon independence, Abboud became the Commander in Chief of the Military of Sudan. He served as the head of state of Sudan between 1958 and 1964 and as president of Sudan in 1964; however, he soon resigned, ending Sudan's first period of military rule. The Sudanese Socialist Union (SSU) was a political party in Sudan. The SSU was the country's sole legal party from 1971 until 1985, when the regime of President Gaafar Nimeiry was overthrown in a military coup. The Sudanese Communist Party , is a communist party in the Republic of the Sudan. 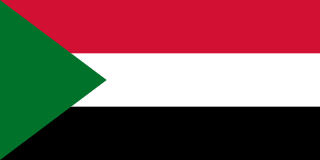 Founded in 1946, it was a major force in Sudanese politics and one of the two most influential communist parties in the Arab world. In 1971, President Gaafar Nimeiry launched a wave of repression against the party after a failed coup implicated the involvement of some communist military officers. 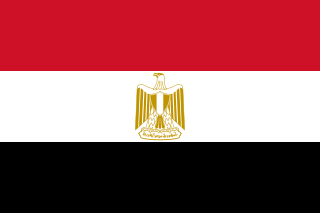 The party's best known leaders; Abdel Khaliq Mahjub, Joseph Garang, Alshafi Ahmed Elshikh, Babkir Elnour and Hashem al Atta were executed and the party was officially banned, but some SCP politicians did manage to enter the government. Abdel Khaliq Mahjub was a Sudanese politician. Abdullahi Mohammad Ahmad Hassan is a veteran Sudanese politician who was a member of parliament, a government minister and diplomat. The 1971 Sudanese coup d'état was a short-lived communist-backed coup, led by Major Hashem al Atta, against the government of President Gaafar Nimeiry. The coup took place on 19 July 1971, toppling the government of the Democratic Republic of the Sudan, but failed to garner support either domestically or internationally. After several days Nimeiry loyalists launched a counter-coup, freeing Nimeiry and toppling Atta's government. Major Hashem al-Atta was a Sudanese political and military figure. Whilst he initially served in the National Revolutionary Command Council under Nimeiry, he is best known for his involvement in the 1971 coup d'état attempt, in which he, and other leftist members of the Sudanese Armed Forces attempted to overthrow Nimeiry and seize power. Initially successful, after several days the Revolutionary government collapsed when Nimeiry was freed by loyalist military units. Following the failed coup attempt Atta and the other ringleaders were executed. The 1969 Sudanese coup d'état was a successful coup, led by Col. Gaafar Nimeiry, against the government of President Ismail al-Azhari. The coup signaled the end of Sudan's second democratic era, and saw the beginning of Nimeiry's 16 year rule. The 1985 Sudanese coup d'état was a military coup that occurred in Sudan on 6 April 1985. The coup was staged by a group of military officers and led by the Defense Minister and Armed Forces Commander-in-Chief, Field Marshal Abdel Rahman Swar al-Dahab, against the government of President Gaafar Nimeiry. ↑ El Sirgany, Sarah; Elbagir, Nima; Abdullah, Yasir (11 April 2019). "Sudan's President Bashir forced out in military coup". cnn.com. CNN. Retrieved 12 April 2019.